There has been a lot of press lately around the announcement that Wired Magazine’s iPad version sales have dropped way down. Every site has their opinion… most say that the electronic versions of magazines should be free or just a couple cents since distribution is less than cutting down a tree to make the print version. We have been talking it through here and have some thoughts a bit away from the regular chatter you may be reading. For this post, lets group electronic magazines for the iPad into two groups. One is the stand alone magazine app like Wired (one brand with multi months in the app). The other is a magazine being distributed through Zinio that will contain many different magazines brands within a single app. In the case of the Zinio magazines, your basically getting an electronic version of the actual magazine. The Zinio app is free, then you buy which magazines you want to read within the app. It’s like viewing a PDF of what was sent to the printers for the magazine rack. Some article and ads have links out to Webs sites. 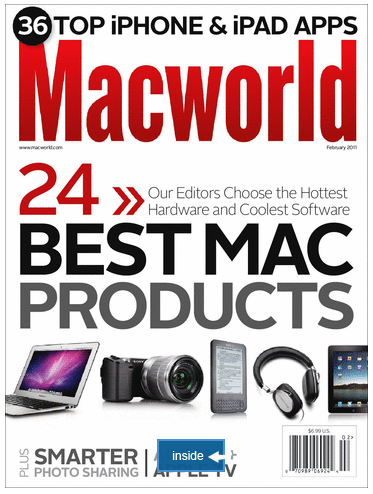 A year subscription to Macworld (as an example) in print $19.97, in Zinio for computer and iPad viewing $19.97 . If you where to buy a print copy every month at the stand, one at a time, a year would be about $82. For the Wired magazine, you have a stand alone app with just Wired in it. Each electronic magazine has the same content as the print with many interactive bits. It takes some time for a team to come up with what needs additional images and how to present those, the hosting of content that the magazine reaches out to, etc… The actual creation of those bits do not take a long time. Like Zinio though, you create one electronic version and it doesn’t cost you much of anything to sell access to that, unlike chopping down more trees. 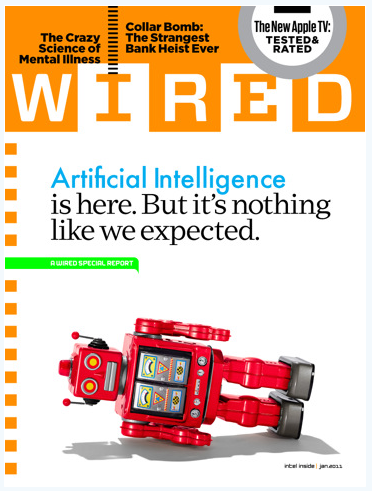 Wired charges $3.95 per month for the electronic iPad version, it isn’t available to subscribe to for a full year. The print version is $10 a year subscription and would cost you $60 per year to buy a copy a month for a year through your local news stand. Most complaints online against Wired right now is about the lack of the electronic version not having a subscription model. So, the Zinio version seems to be pretty profitable for the companies to create and distribute. The Wired magazine in electronic form has more up front costs but is inexpensive to distribute and more expensive (much more) than buying a year subscription to the print version. About what others are claiming should be the model, the electronic version being free. With the introduction of interactive ads in the Wired iPad magazine, tracking of actual customer response becomes a reality. No longer will a magazine say that x% of the people viewing the ads in their magazine did anything. Now with people being able to tap on ads and get additional information or even order right away from a link means that those impressions are known. The magazine could actually report back how long someone spent looking at a particular page if they chose to. This type of real marketing information would drive up the price to have an ad in the magazine and thus it could lower the price of the end user’s purchase price. Not sure that light bulb will go on right away but the more people that are looking at the magazine, and stopping on ads, the more the publisher profits. Could we actually see magazines start charging advertisers by pay-per-click?! This model could spell the end of the print version of magazines… No, we don’t think so. There is still a lot of people that do not own iPads and even amongst those iPad owners, there is a very large percent of people that just love to buy a magazine and feel the paper. The one interesting fact we see amongst iPad owners (talking with iPad owners here and on the street due to a project being worked on) that actually buy electronic magazines for the iPads is that they are actually reading the magazine while we believe that most print version buyers only ever make it through a small part of their copies.